Genrad 1433-B Decade Resistor. 6 dial. 1 Ohm steps to 1.111110 Mohms. 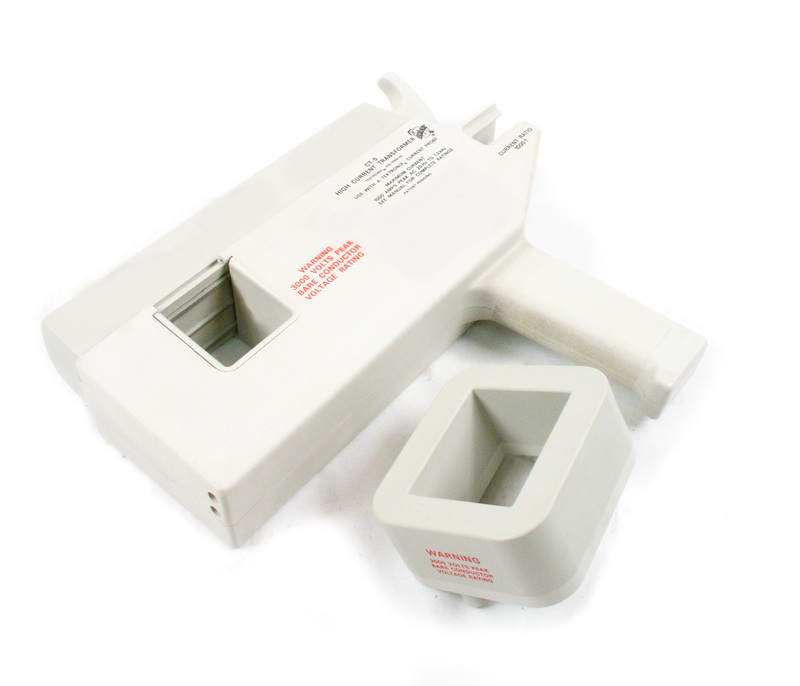 Guildline 6623-100A DCC Bridge High Current Range Extender. 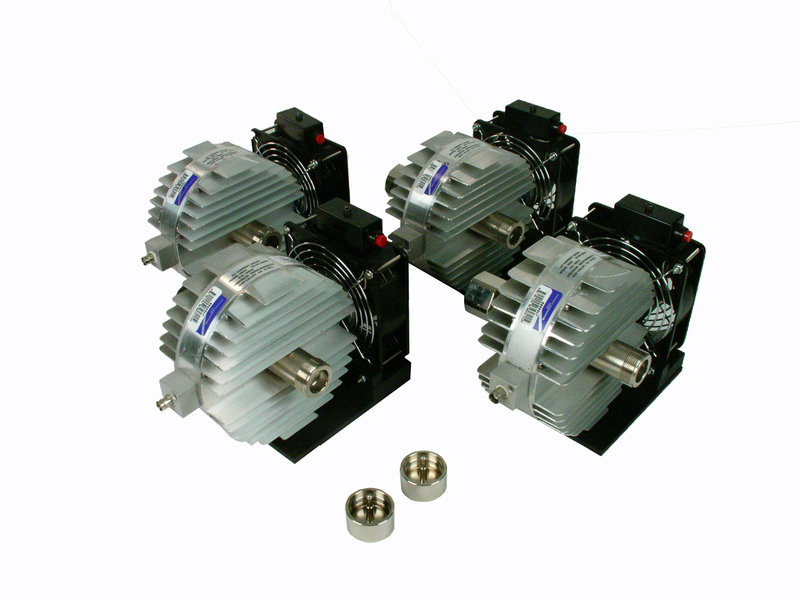 For use with the 6675A or 9975 Direct Current Comparator bridges. 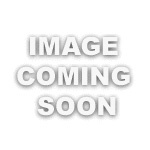 Guildline 9540 Digital Platinum Resistance Thermometer. 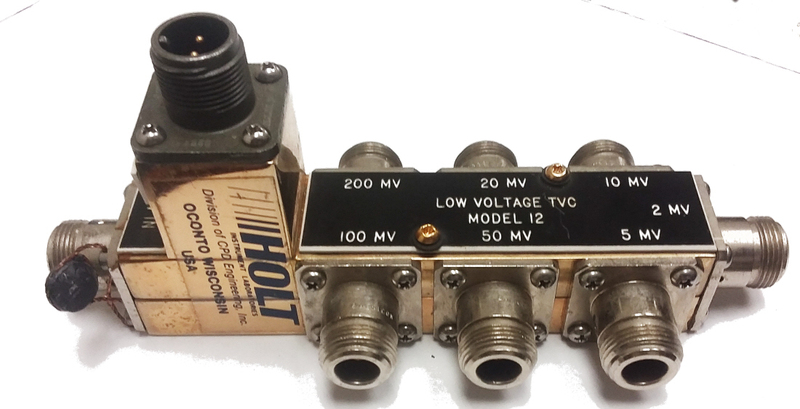 Holt TVC Model 12 Thermal Voltage Converter. Seven ranges from 2 mV to 200 mV. 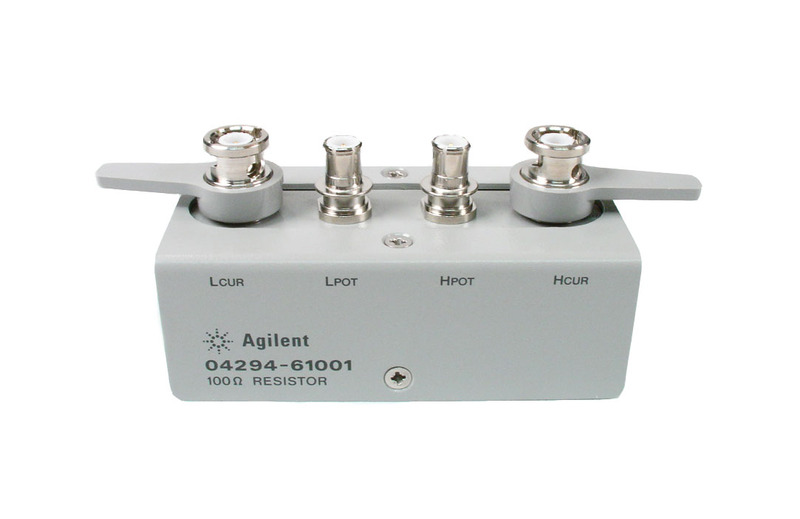 Agilent HP 11683A Option H01- Range calibrator for 43x, EPM, and P series power meters. 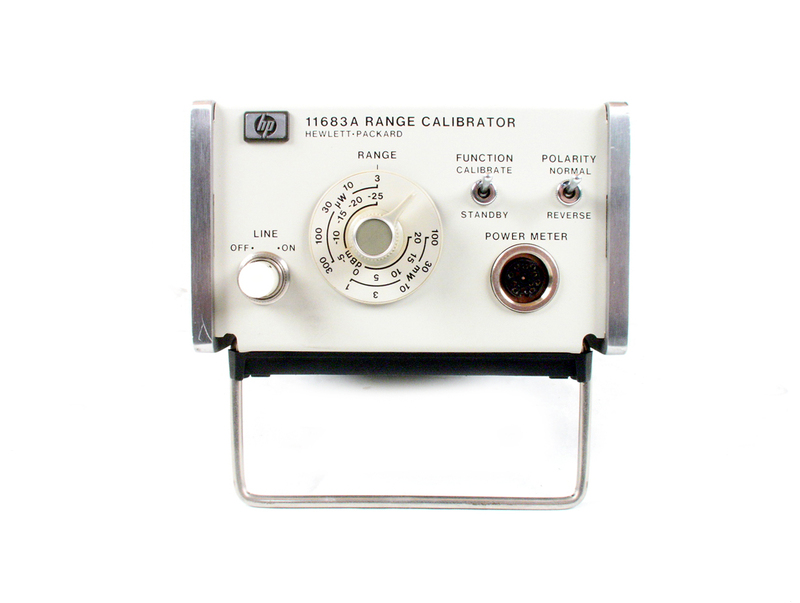 Agilent HP 11683A - Range calibrator for 43x series power meters. 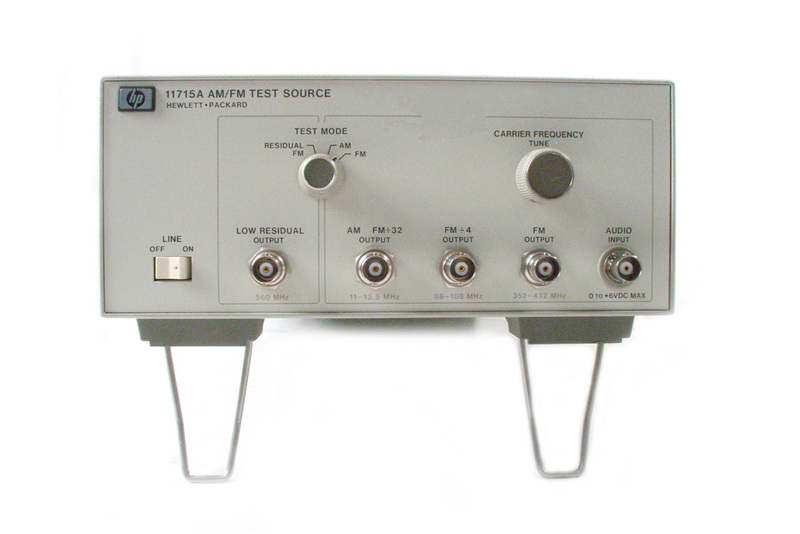 Agilent HP 11793A Microwave downconverter. 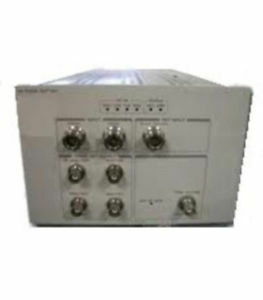 Agilent HP 11793A Microwave downconverter. Opt 010 front right L.O. connector. Used to extend 8902A up to 26.5 GHz. 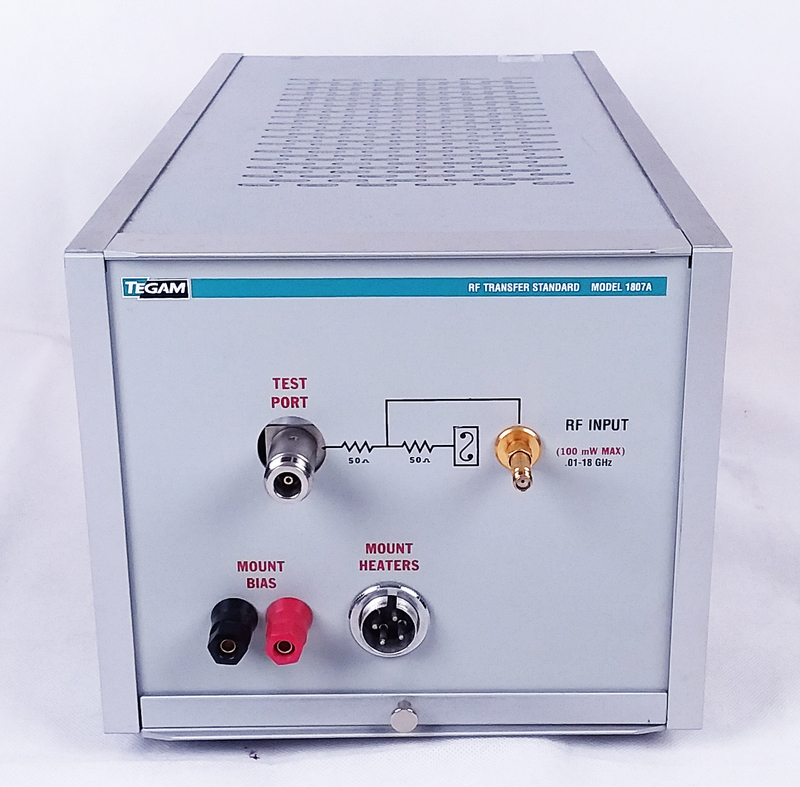 Agilent HP 11793A Microwave downconverter with option 001 amplifier. 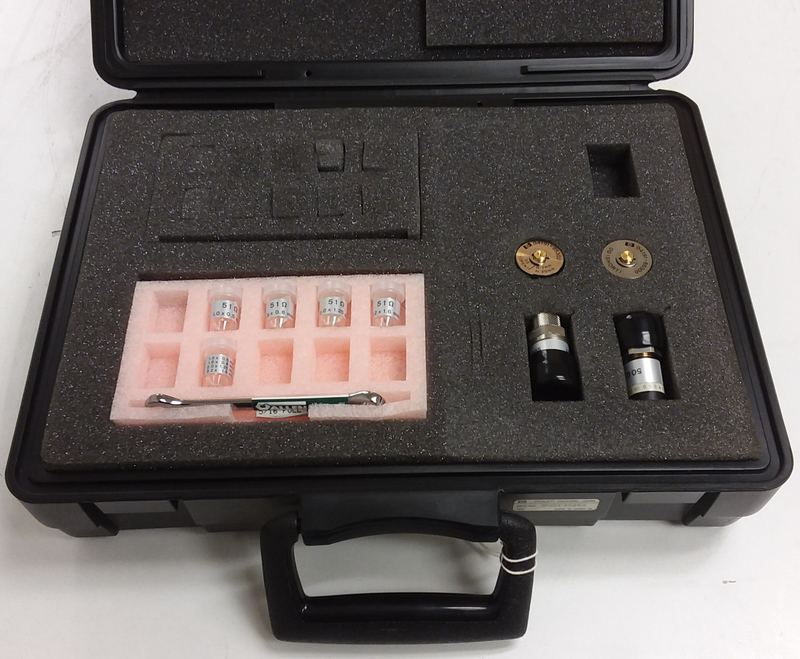 Agilent HP 11812A Verification Kit contains a step attenuator, two 10 dB pads, and cable) for verifying the performance of the HP 8902A Option 050 Tuned RF Level function to reduced specifications. 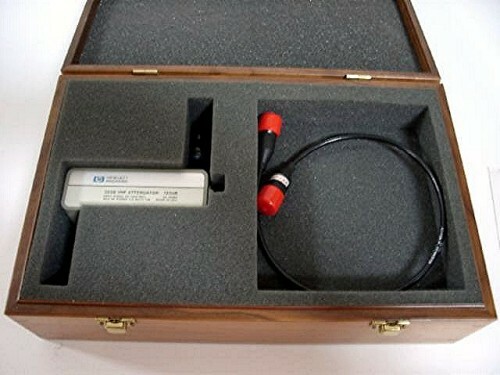 HP Agilent 16195A 7 mm Calibration kit for 4286A, 4287A, 4291B, 16085B, etc. 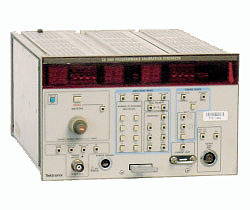 Agilent HP 3335A/001 Synthesized level generator with Opt 001 High Stability timebase. 200 Hz to 80 MHz. 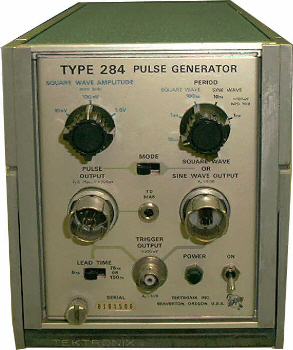 Agilent HP 3335A Synthesized level generator. 200 Hz to 80 MHz. 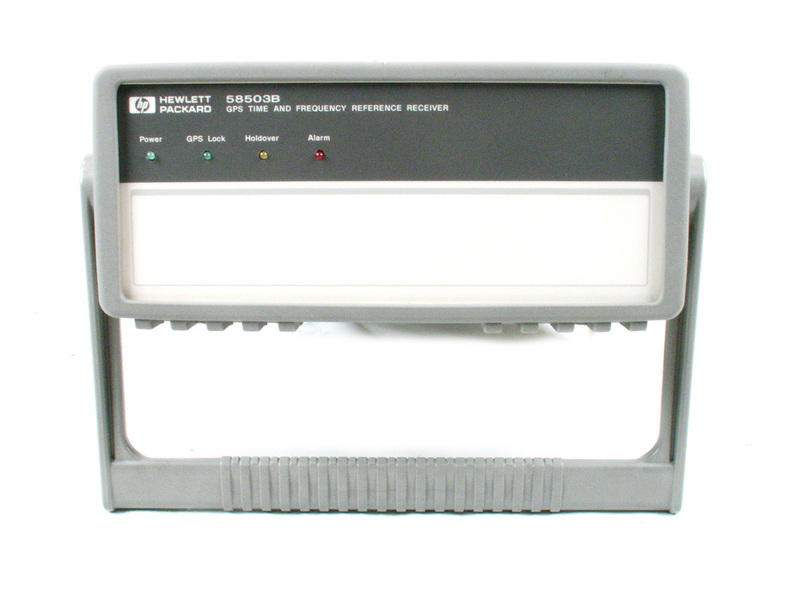 Agilent HP Symmetricom 58503B - GPS Time & Frequency Receiver. Includes opt 002 1 PP2S output. 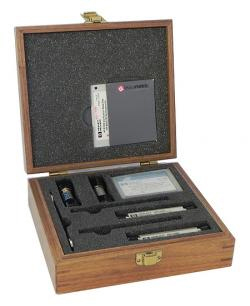 Agilent HP 85029A - Verification kit, 7mm. 300 KHz to 6 GHz. Agilent HP 85029B - Verification kit, 7mm. 300 KHz to 6 GHz. Agilent HP 85051B - Verification kit, 7mm. 300 KHz to 18 GHz. 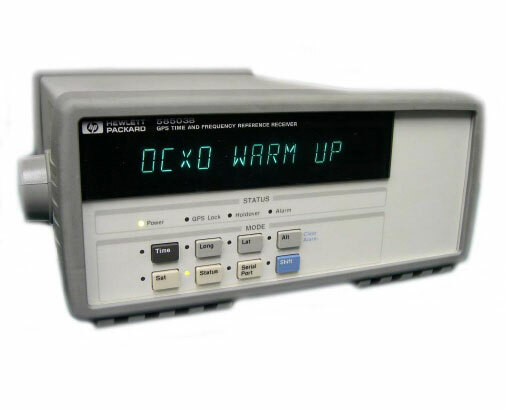 Agilent HP 8901B Modulation Analyzer 150 KHz to 1300 MHz with opt 002 oven timebase, 030 High Selectivity / external L.O., 033 and 037 filters. 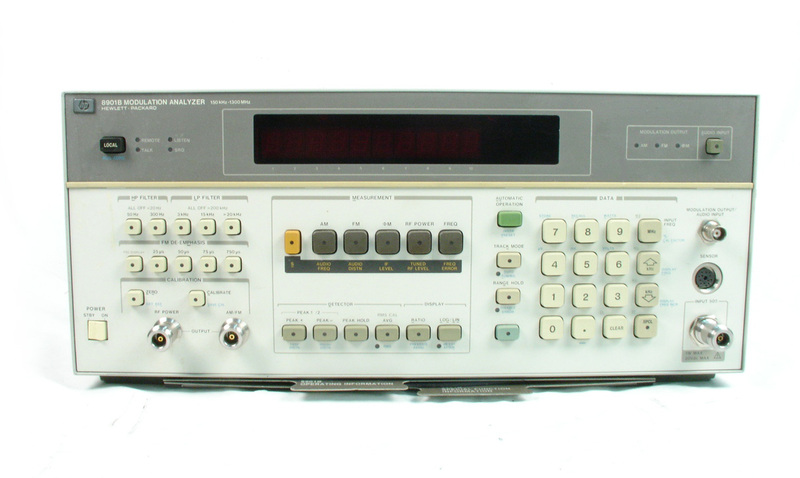 Agilent HP 8902A Measuring Receiver 150kHz to 1300 MHz with Options 030, 033 & 037. 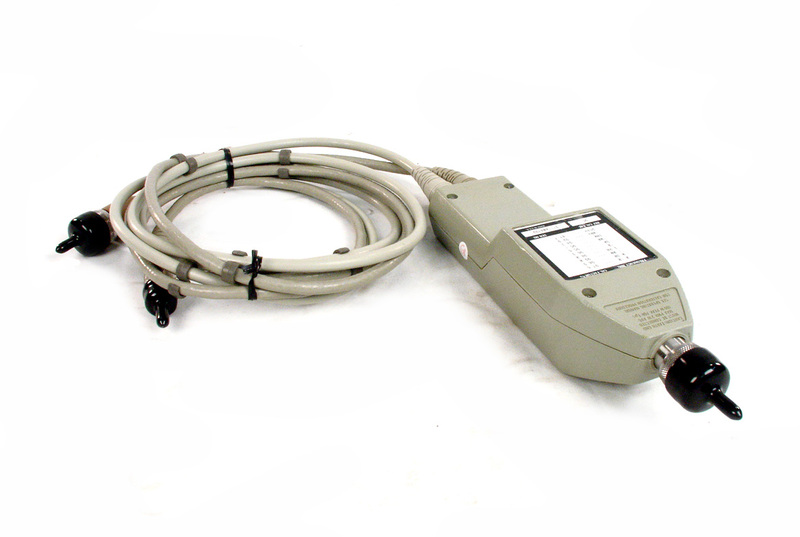 Agilent HP 8902A Measuring Receiver 150kHz to 1300 MHz with Options 050, 002, 030, 032, and037. 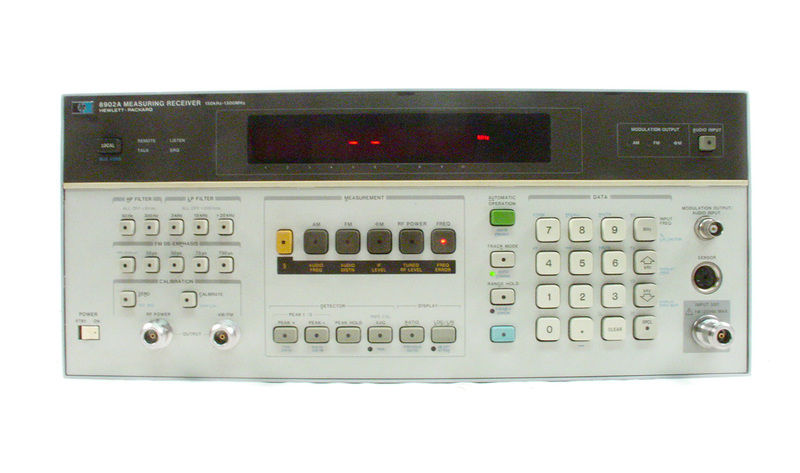 Agilent HP 8902A Measuring Receiver 150kHz to 1300 MHz with Options 002, 003, 030, 032, 037, and H15. 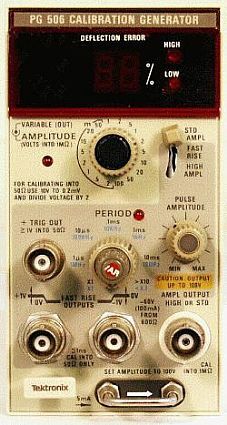 IET Labs HARS-X-6-.01 High Accuracy Decade Resistance Substituter. Similar to GR 1433W. 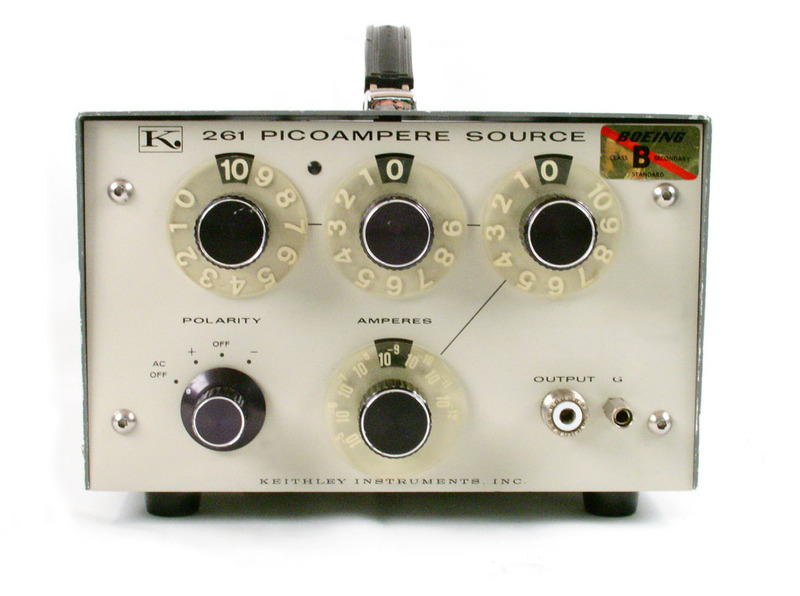 Six decades .01 ohms per step up to 11 KOhms. .01% Accuracy. 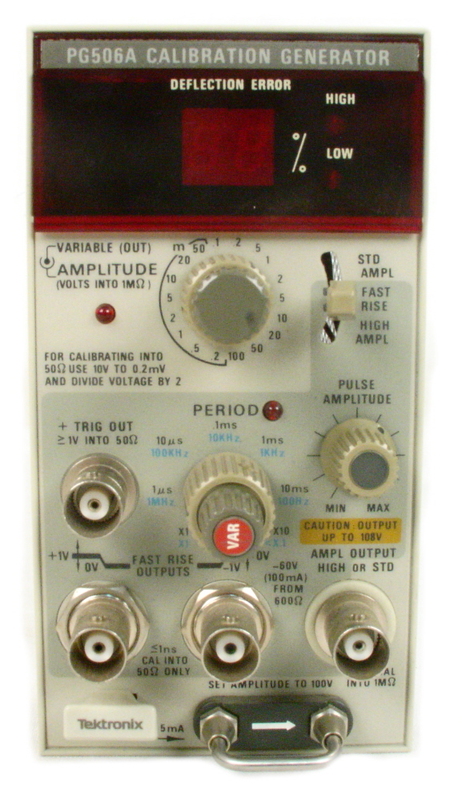 IET Labs HARS-X-6-1 High Accuracy Decade Resistance Substituter. Similar to GR 1433B. Six decades 1 ohm per step up to 1.1 MOhms. .01% Accuracy. 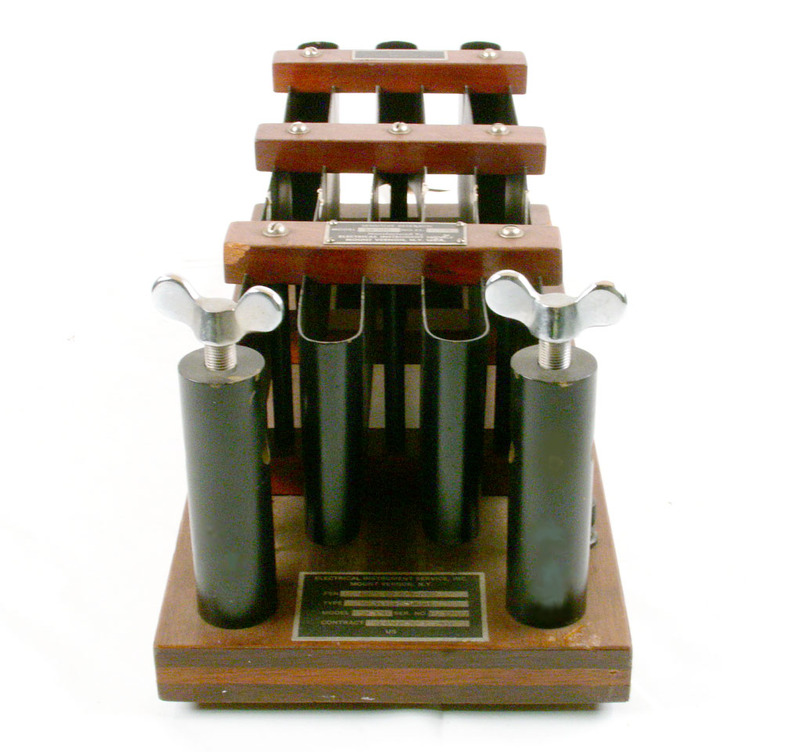 IET Labs HARS-X-6-1 Decade Resistor. Six decades 1 ohm per step up to 1.1 MOhms. .01% Accuracy. 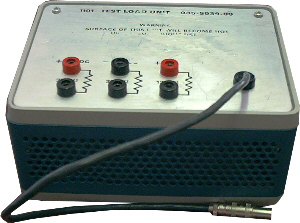 IET Labs HRRS-B-3-1M High resistance decade. 0-1.11 GOhm in 1 MOhm steps. 3 dial. 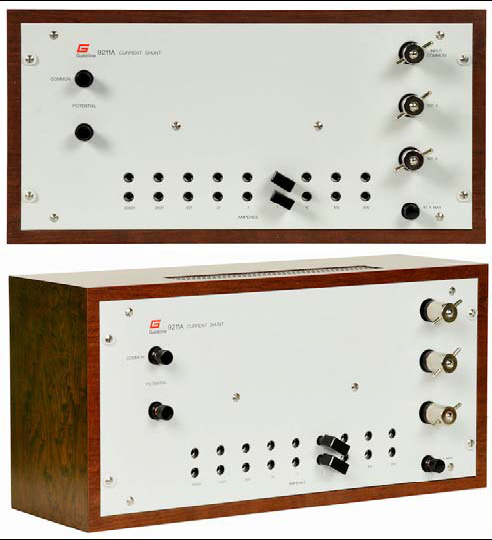 IET Labs HRRS-F-3-1M High Resistance Decade Box. Up to 1 GOhm with 1 MOhm resolution. Three Decades. 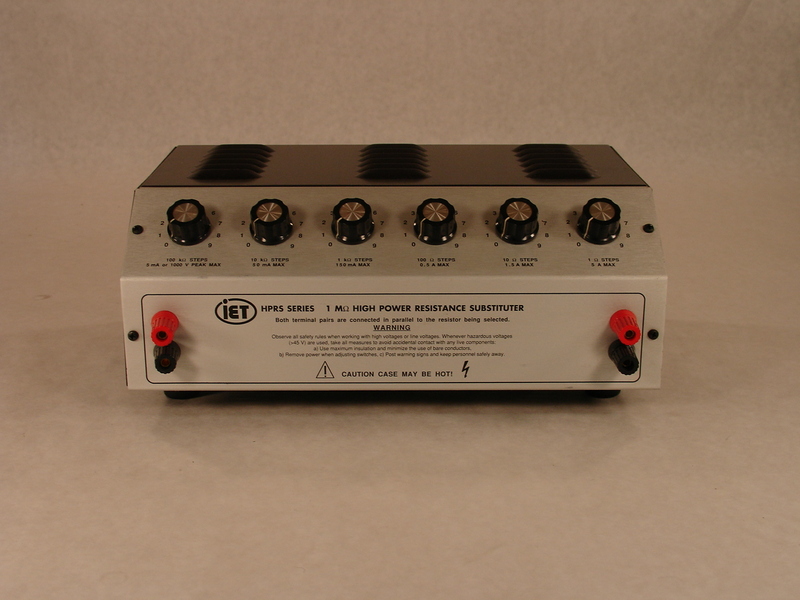 IET Labs HRRS-F-6-10k High Resistance Decade Box. Up to 10 GOhm with 10 kOhm resolution. Six Decades. 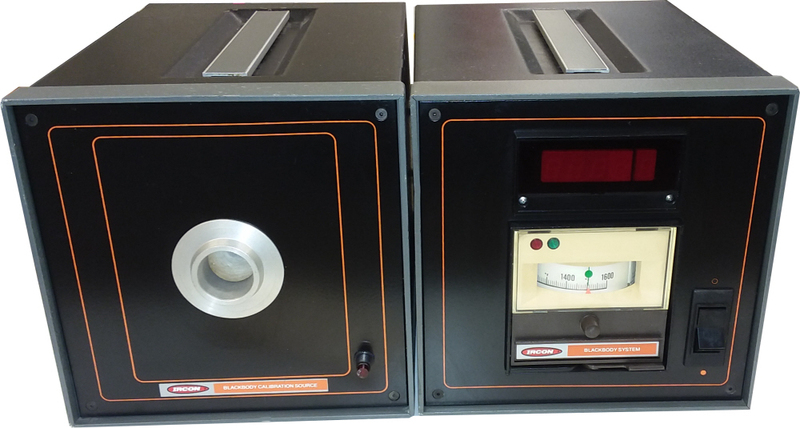 Ircon BCL-15F-0 Blackbody Calibration System. 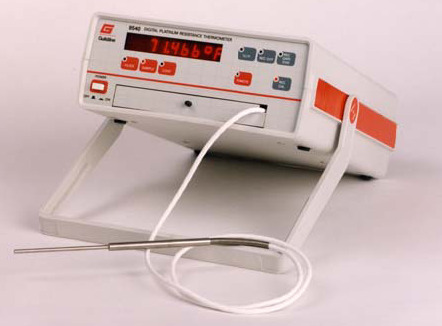 Room temperature to 1500 degrees F. Includes controller, source, and interconnect cables. 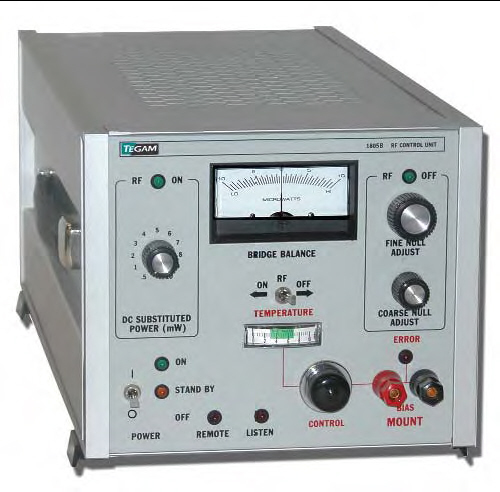 Krohn-Hite 526 DC Calibrator. ±100nV to ±110V / ±10nA to ±110mA. Maury Microwave 2562C Precision Mismatch. 1.20 VSWR. 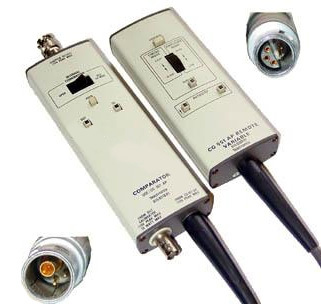 TYPE N. DC to 18 GHz. 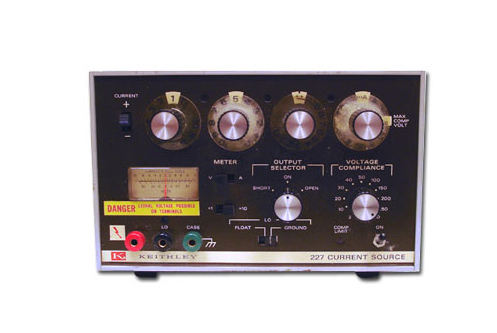 Maury Microwave 2611A Precision Mismatch. 1.05 VSWR. APC7. DC to 18 GHz. Maury Microwave 2611C Precision Mismatch. 1.20 VSWR. APC7. DC to 18 GHz. 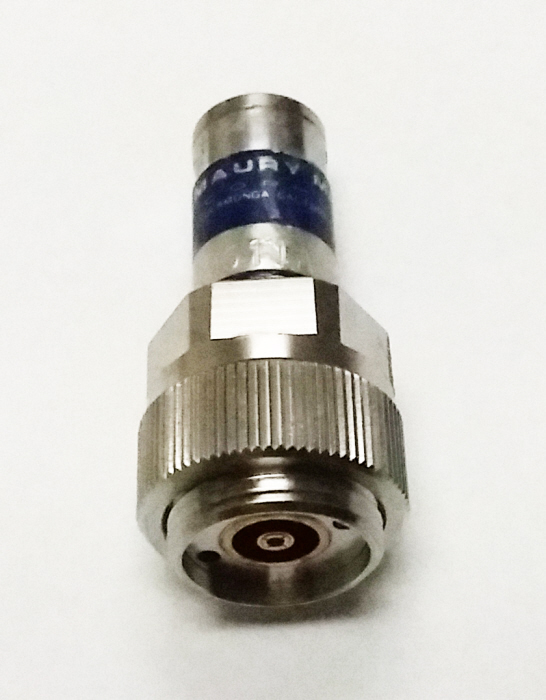 Maury Microwave 2611E Precision Mismatch. 1.50 VSWR. APC7. DC to 18 GHz. Maury Microwave 2611G Precision Mismatch. 2.00 VSWR. APC7. DC to 18 GHz. 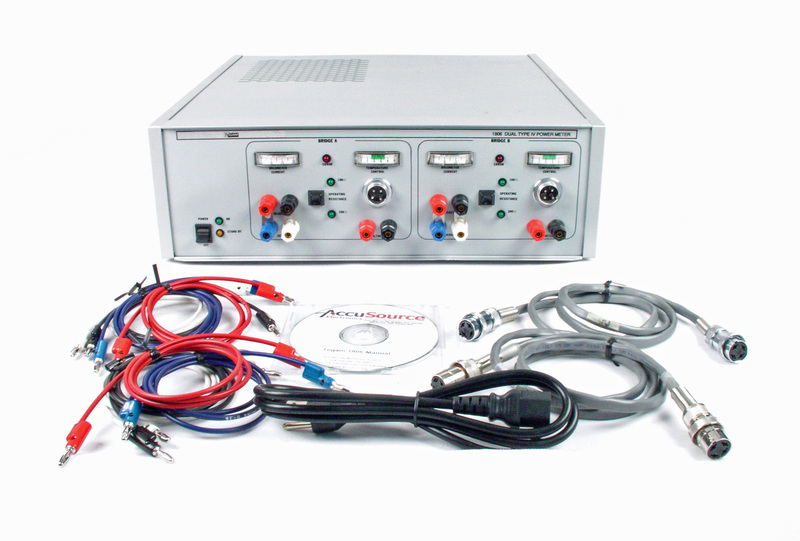 Measure Tech Precision Measurements EL9800 Precision AC Current Shunt Set up to 100A / 100 kHz. 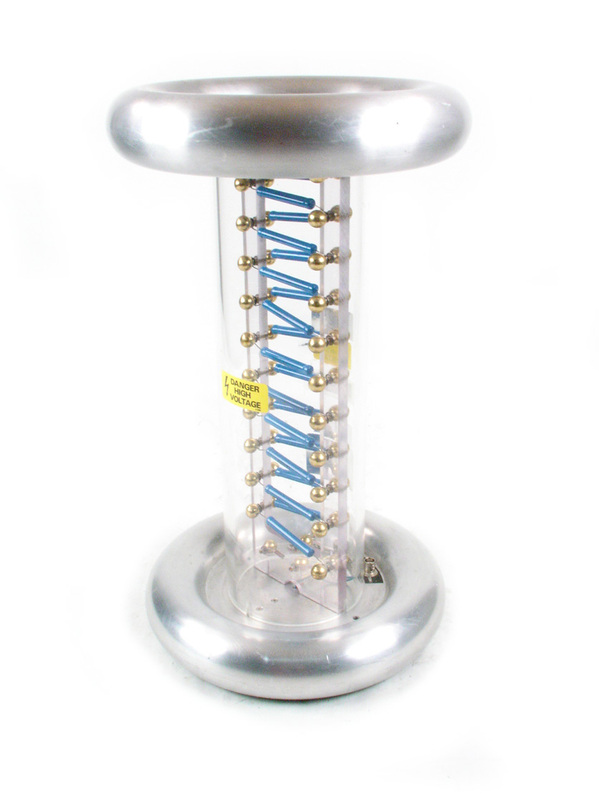 Spellman HVD-100-1 Resistive Voltage Divider, 0-100 kV DC with .1% accuracy. Possible alternative for Hipotronics KVM100. 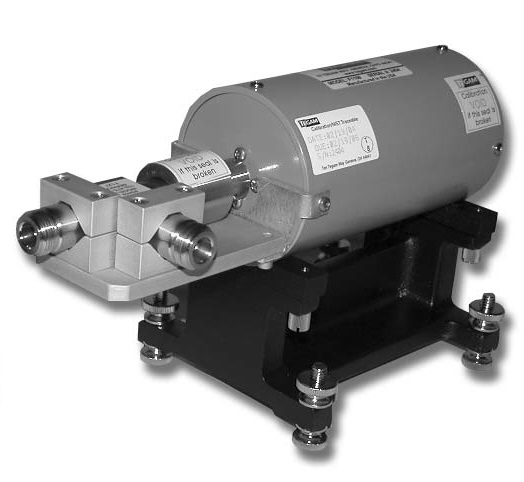 Spellman HVD-200-1 - Resistive Voltage Divider, 0-200 kV DC with .25% accuracy. 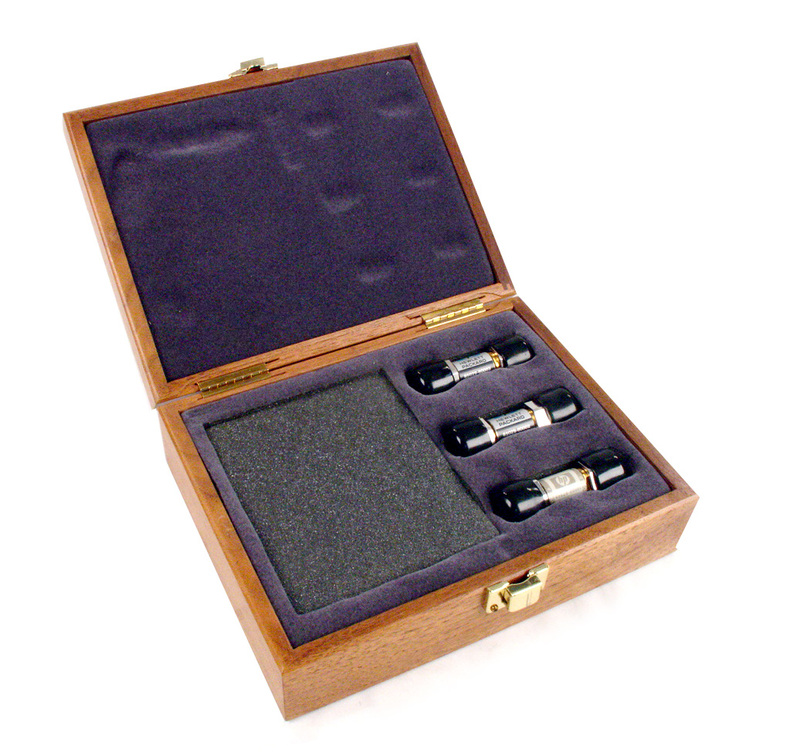 Tegam 1806 Dual Type IV Power Meter. Part of System IIA. Tegam Weinschel 5735 Terminating Power Standard. 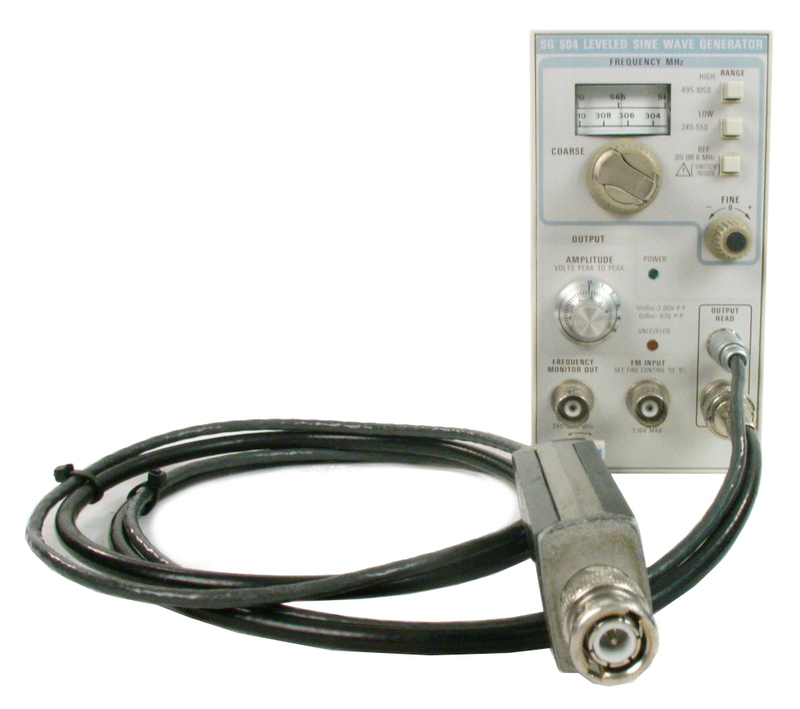 Tektronix / Tegam CG5011 - Oscilloscope Calibrator Plug-in module. Includes pulse head (# 015-0611-01 ). Requires TM5000 series mainframe - sold separately. 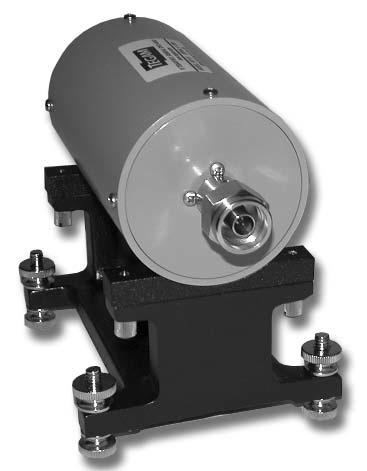 Tegam Weinschel M1110 / M1110N 10 MHz to 18 GHz Terminating Power Standard. 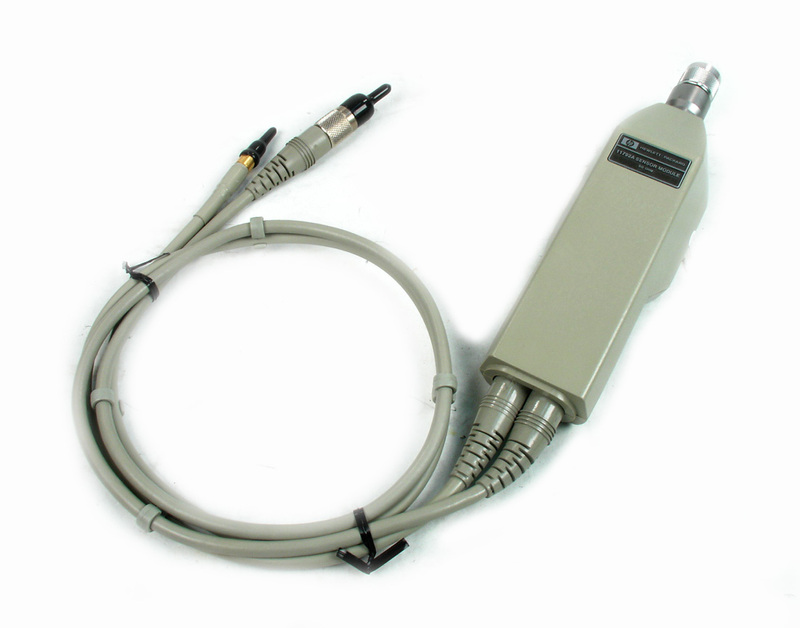 Tegam Weinschel M1111 10 kHz to 100 MHz Terminating Power Standard. Tektronix CG5001 Oscilloscope calibration generator Option 01 H.S. timebase with pulse head. 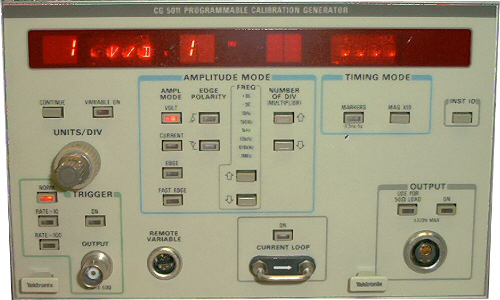 Tektronix CG5001 Oscilloscope calibration generator with pulse head. 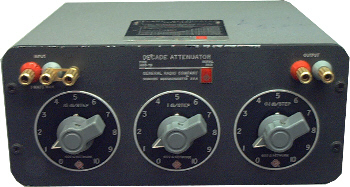 Tektronix CG5011 Calibration Generator includes Opt 01 H.S. Timebase and pulse head (015-0611-01). Requires TM5000 series mainframe sold separately. 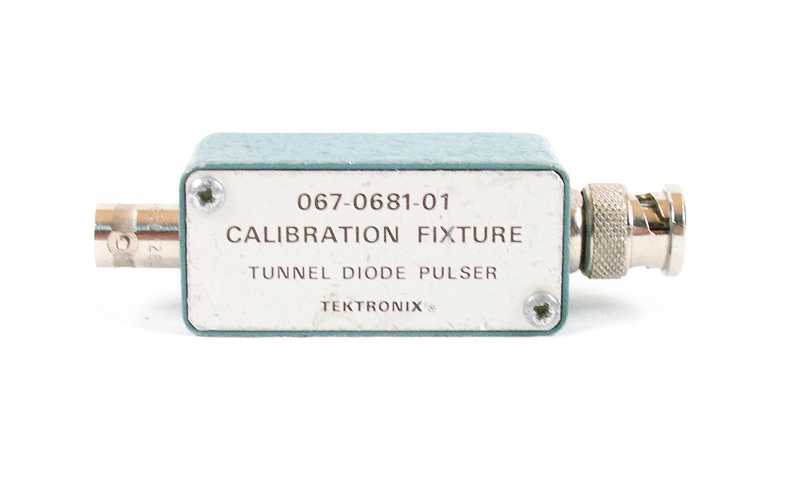 Tektronix CG5011 - Oscilloscope Calibrator Plug-in module. Pulse head NOT included. Requires TM5000 series mainframe. 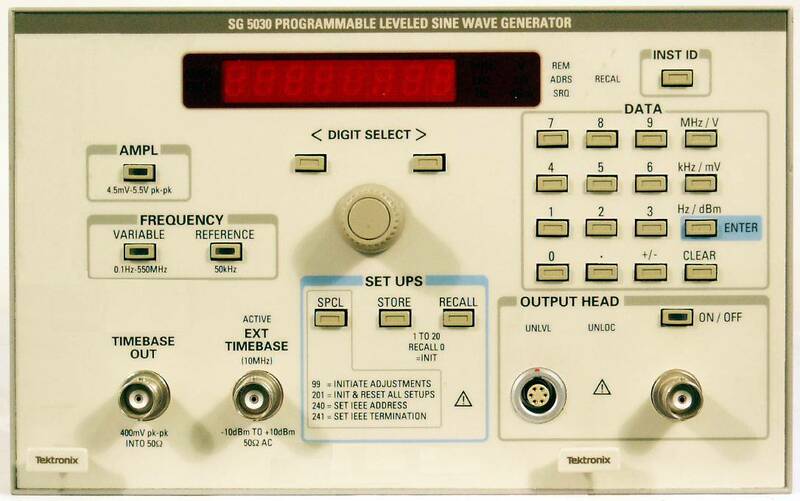 Tektronix Tegam SG5030 - Programmable leveled sinewave generator for oscilloscope calibration. 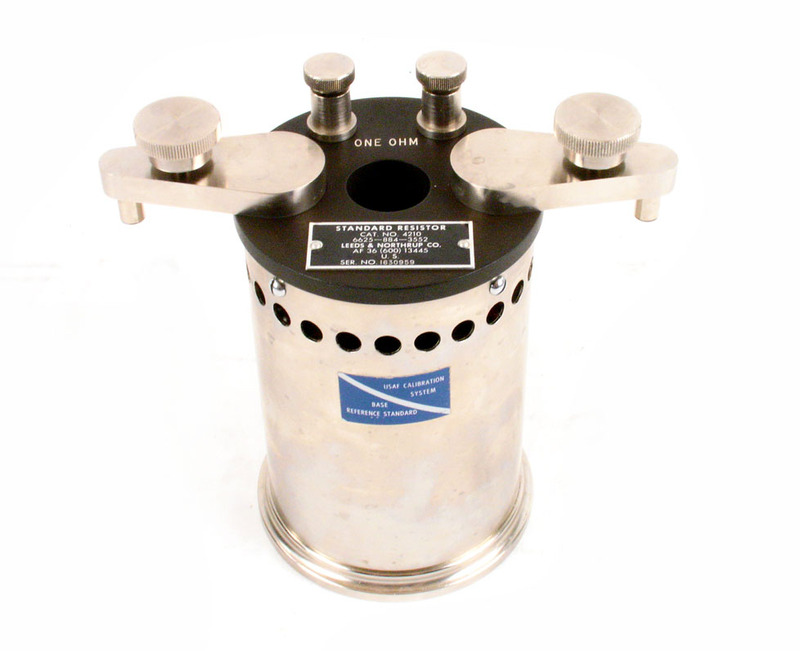 Includes leveling head 015-2350-01. 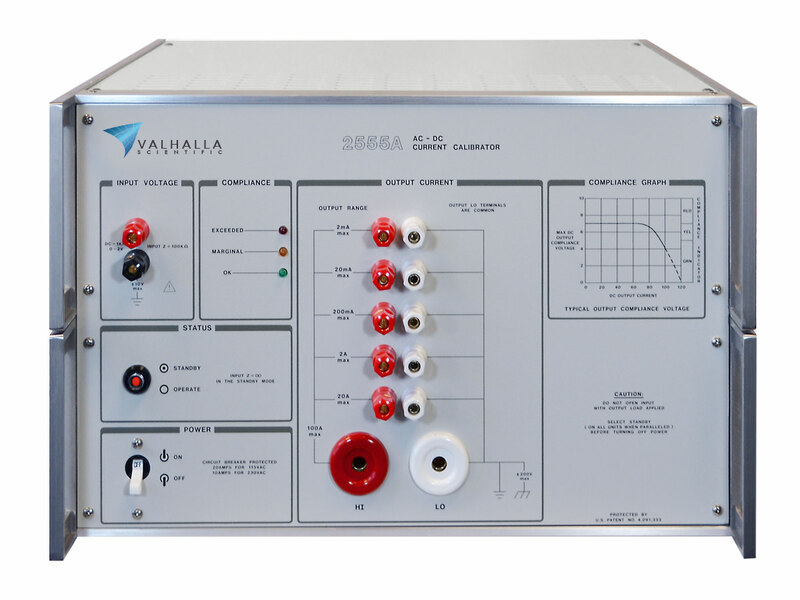 Valhalla Scientific 2555A AC-DC Current Calibrator Transconductance Amplifier. 100A. 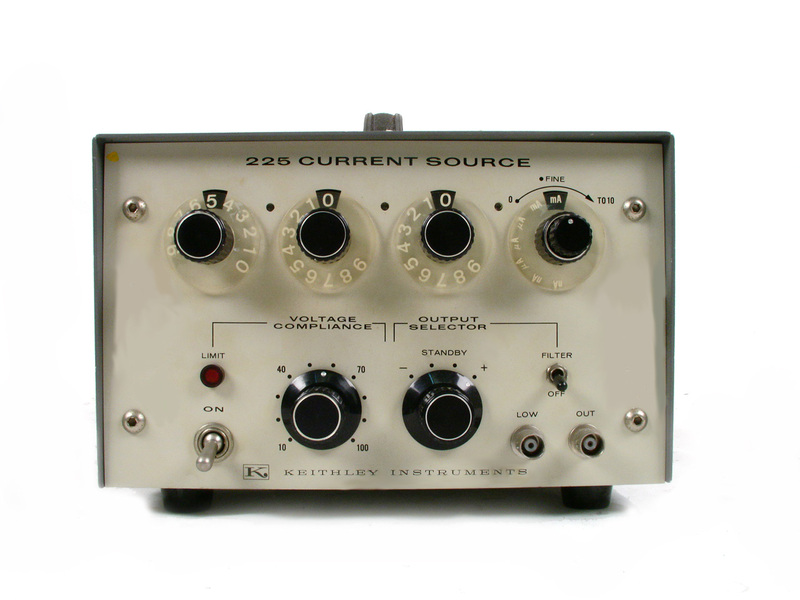 Valhalla 2575A Active Current Shunt. AC & DC Current Measurement to 100 Amps.